Can Yoga Help You Keep Running? I believe I am still able to run 6 miles a few times a week because I also go to yoga classes. Do you think that is true? One of the major reasons why people stop running is because of injury. Sometimes it’s a relatively minor injury that sidelines a runner, but after taking a couple of weeks off to rest, they get out of the running habit and don’t pick it up again. For others, it could be bigger, more chronic injuries like joint issues. These runners’ doctors may suggest that their patients switch to a different style of exercise so they don’t exacerbate their injuries. One of the great things about yoga is it helps runners resist injury. No, it won’t totally prevent it, but it does a LOT to help prevent injury. Yoga is amazing at strengthening stabilizing muscles, the muscles that help your legs and other parts of your body stay where they should when you run. Strong stabilizing muscles mean good running form, and good running form means far fewer injuries. Yoga is a great way for runners to build strength. I just mentioned that yoga is great for making stablizers stronger, which helps prevent injuries. Yoga also helps strengthen muscles throughout the body, including your upper body, core, glutes, legs, and even ankles and feet. Strong muscles will help keep you going, mile after mile. Certain styles of yoga can also give you a great workout, helping you stay in running shape. A vigorous vinyasa or power yoga class will certainly get your blood pumping, which is why these styles are so popular among runners. If you regularly attend a fast-paced yoga class, you’ll certainly get some cardiovascular conditioning. That conditioning, in turn, can help you stay running, even if you’re not putting as many miles on the road. I definitely experienced this when during cold Chicago winters. Avoiding dangerous, icy sidewalks and the dreadmill, I tended to spend more time at the yoga studio in the winter. (Those 90°F classes felt so good when there was a 30 below wind chill outside.) When I started ramping up my mileage in the spring, I’d find that yoga kept me in pretty good shape. And, as an added bonus, the heated classes helped prepare me for unseasonably hot spring races. 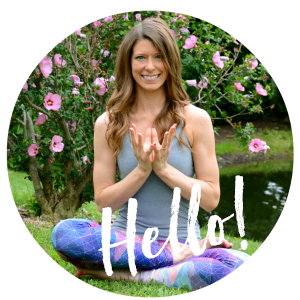 So runners, if you’ve been thinking about adding a yoga practice to your routine, definitely do it! Not only will yoga give you a lot of great benefits, including better mental and physical strength, but yoga will help keep you running, too. 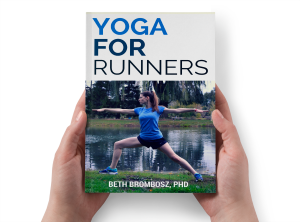 « Should Injured Runners Do Yoga? I’ve been doing yoga for as long as I have been running and I can’t imagine one without the other! Yoga has definitely helped my running and helped keep me running. Even little things such as balance and stabilization poses and big things that focus on mobility! Yoga helps (guides) me to stretch more than I normally would on my own so in that sense if does help keep injuries at bay. I really feel that my running has improved since incorporating a regular yoga practice. I just wish I had more time so that I could go to class more often! Great post!